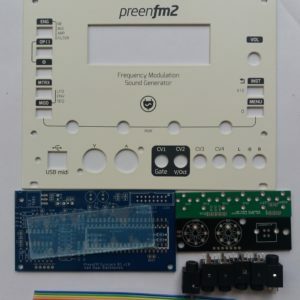 PreenFM DIY kit. Everything included. 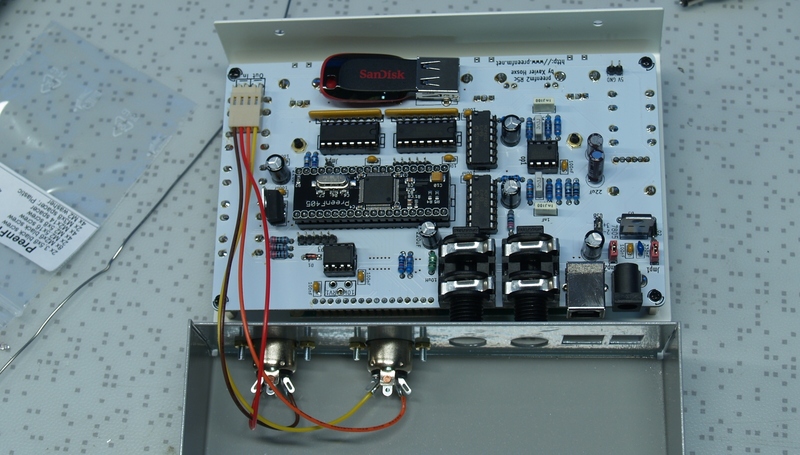 DIY Kits are sold without the wood panels! 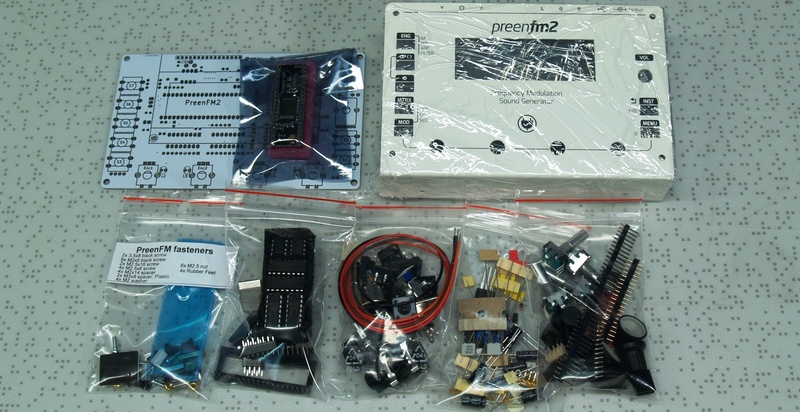 This is PreenFM DIY kit with white metal enclosure. 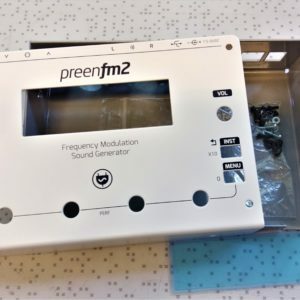 It includes everything that is needed to build a functioning PreenFM. Comes with pre-loaded USB drive with all the official sounds. 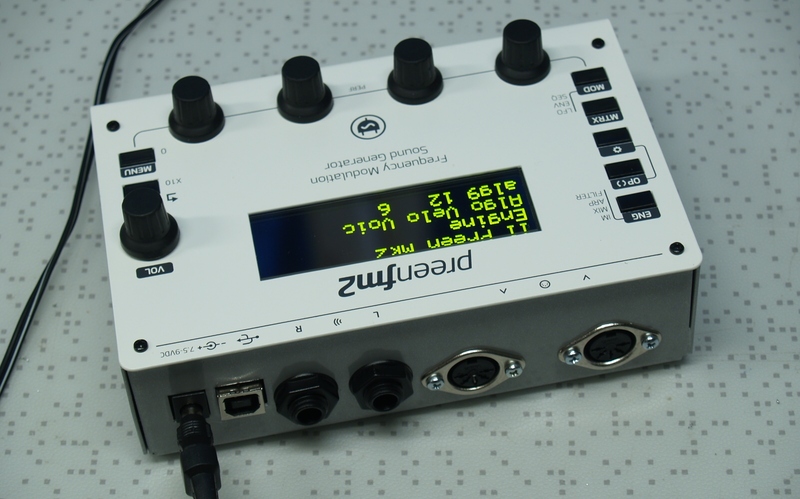 PreenF405 has the latest firmware installed. OLED-screen shield should be built from aluminium foil for noise reduction. We only sell complete DIY KITs. 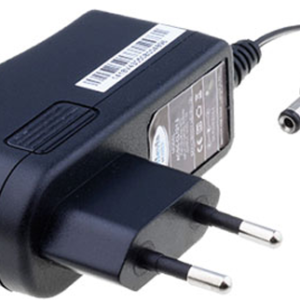 Basic electronics skills and tools are required! 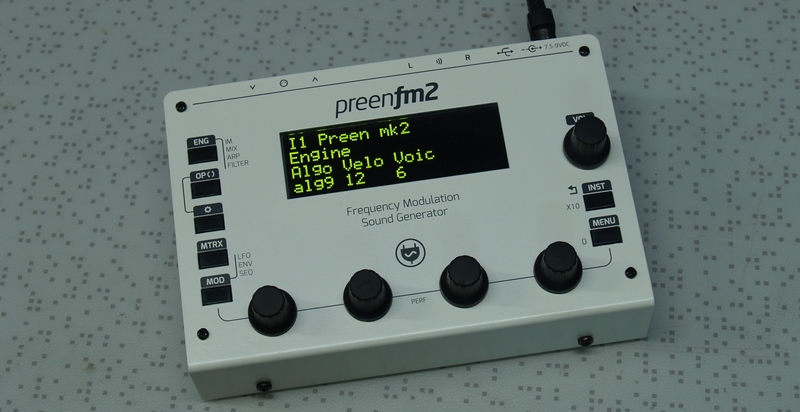 Creator of PreenFM is Xavier Hosxe who has put his heart and soul in to this device. All the credit goes to him!